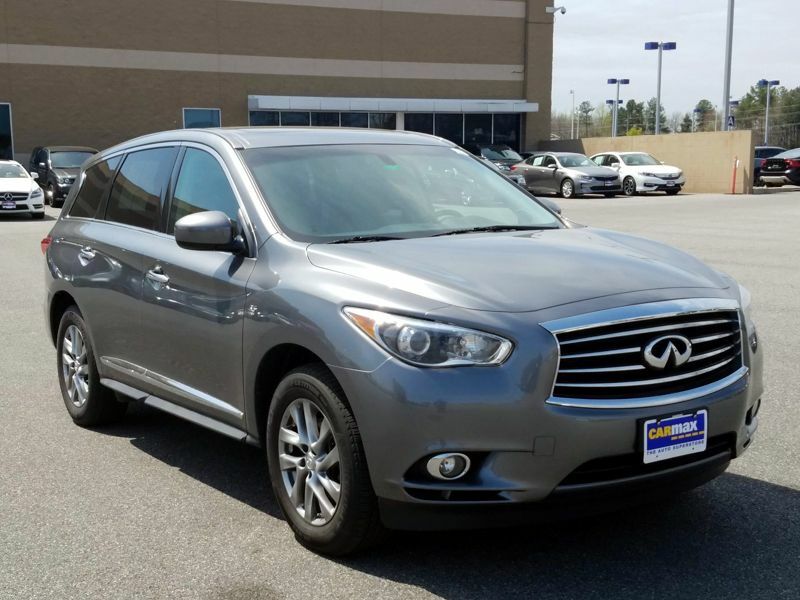 Transmission: Automatic Color:Gray Interior Color: Black Average Vehicle Review: (4.417 reviews) I am an Infiniti person I've only owned Infinti for the past twenty years very dependable car and good on gas, I love the crossover style not too big perfect size vehicle. I'm in love with. My Infinity. I would definitely recommend all my friends and family to purchase one. You will never want to drive anything else!!!!!! 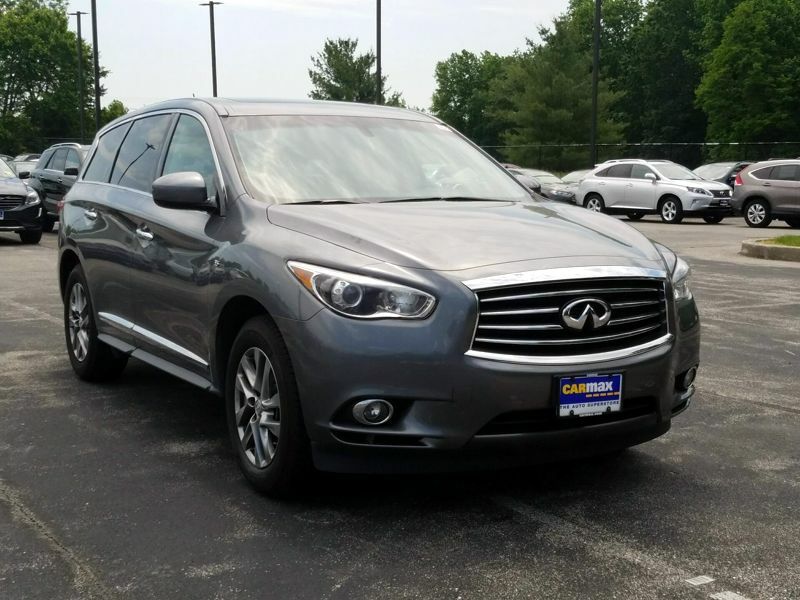 Transmission: Automatic Color:Gray Interior Color: Brown Average Vehicle Review: (4.632 reviews) I absolutely love my JX35! It's smooth riding, all the cameras make it easy to park, very comfortable. My boyfriend is 6'3 and his son is 5'10 and there was plenty of room for us all plus our 6 year old to go on trips. The 3rd row is a bonus and the 2nd row also reclines! 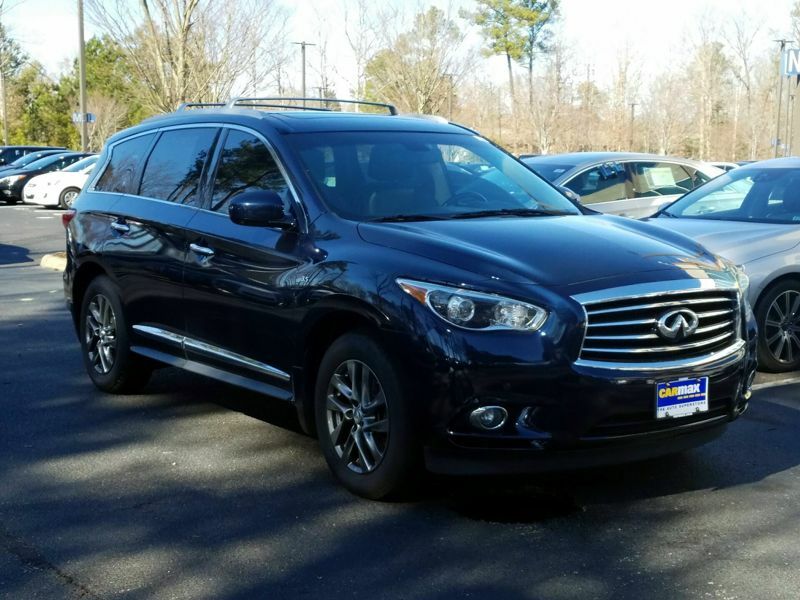 Transmission: Automatic Color:Black Interior Color: Black Average Vehicle Review: (4.45 reviews) The FX35 is a nice vehicle for a single person. It's not too big but has enough space to put the few items in it that I need it to. It has great acceleration when needed. Handles great. Definitely a good looking vehicle. The 7 speed transmission when compared to the previous generation's 5 speed transmission will hesitate sometimes on lower gears. I actually prefer the 5 speed as it always found the right gear and never hesitated. Overall it's still an excellent vehicle. Transmission: Automatic Color:Black Interior Color: Tan Average Vehicle Review: (4.417 reviews) The car drives very well, comes with almost fully loaded and the overall build quality is very high. The Q70 is actually both more powerful, better handling and has a better/ bigger interior than comparable A6, XF, E350 and Acura RLX sedans in my opinion. The Lexus GS exterior made it out of contention for me. It is very good value for money. Transmission: Automatic Color:White Interior Color: Gray Average Vehicle Review: (4.5 reviews) I absolutely love my JX35! It's smooth riding, all the cameras make it easy to park, very comfortable. My boyfriend is 6'3 and his son is 5'10 and there was plenty of room for us all plus our 6 year old to go on trips. The 3rd row is a bonus and the 2nd row also reclines! Transmission: Automatic Color:Silver Interior Color: Black Average Vehicle Review: (4.417 reviews) The car was essentially brand new when we got it. The instrument panels and controls are easy to use, well placed and programmable for each driver. Seats are comfortable. Seating for 6 adults comfortable. 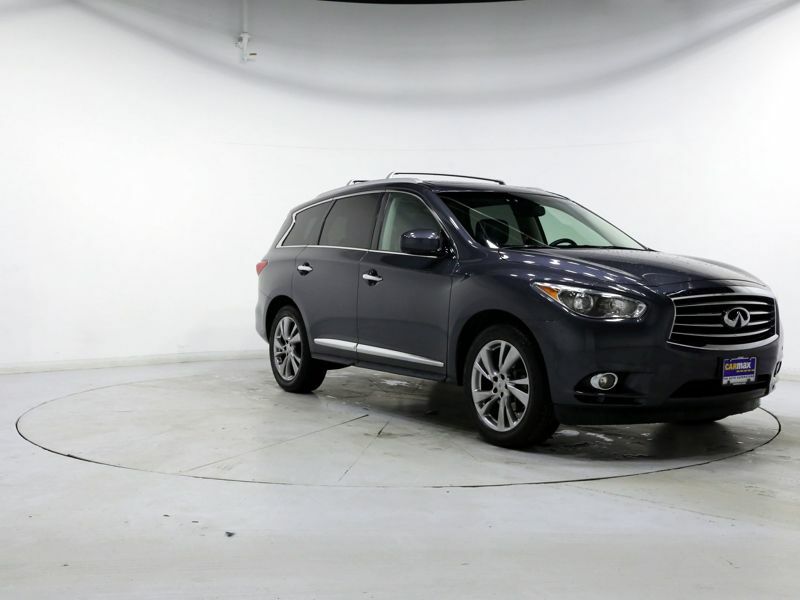 Cameras allow 360 degree visualization of the vehicle when parking and backing up. The AWD is outstanding on snow covered roads. The BOSE surround sound is top notch. Transmission: Automatic Color:Gray Interior Color: Black Average Vehicle Review: (4.417 reviews) It is a great car. My first Japanese vehicle. Feels a bit light, but overall, a wonderful car. My wife likes it that being just a bit higher helps with visibility. 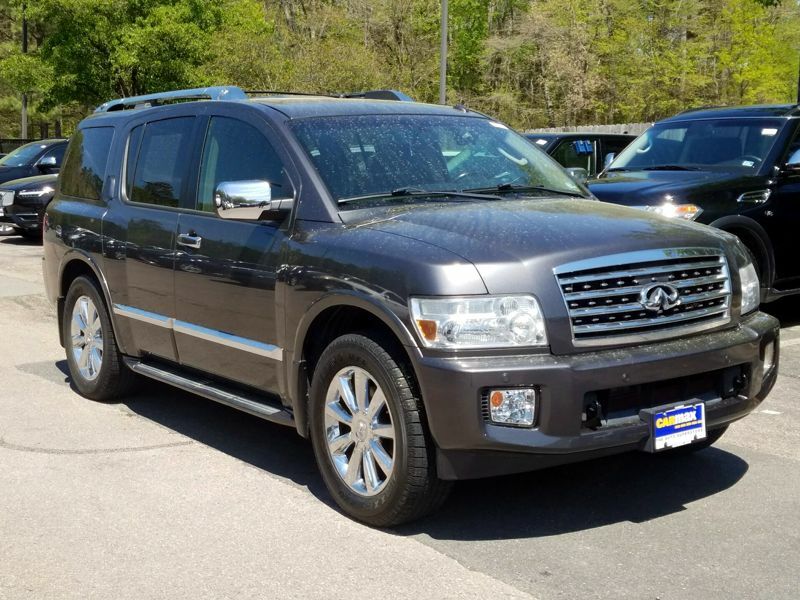 When looking at different reviews, they compare this vehicle to ones much more expensive. 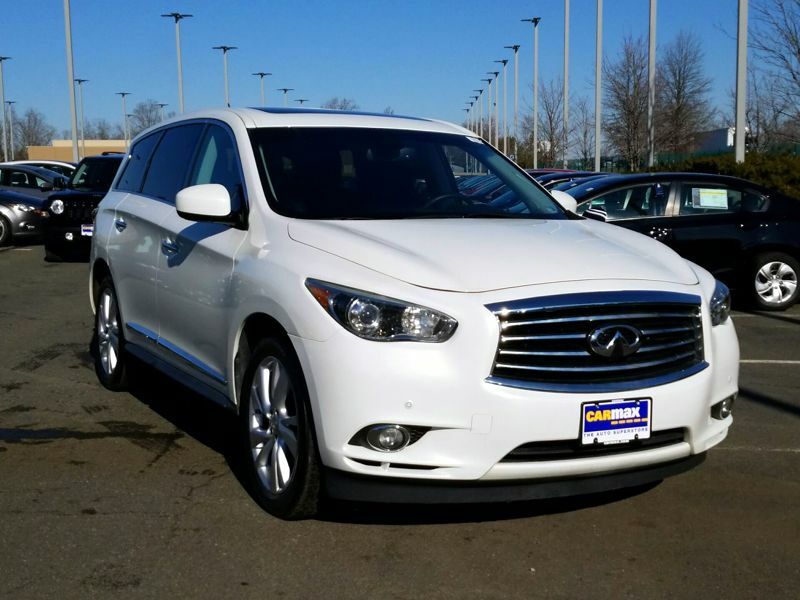 Transmission: Automatic Color:White Interior Color: Brown Average Vehicle Review: (4.417 reviews) The car was essentially brand new when we got it. The instrument panels and controls are easy to use, well placed and programmable for each driver. Seats are comfortable. Seating for 6 adults comfortable. Cameras allow 360 degree visualization of the vehicle when parking and backing up. The AWD is outstanding on snow covered roads. The BOSE surround sound is top notch. 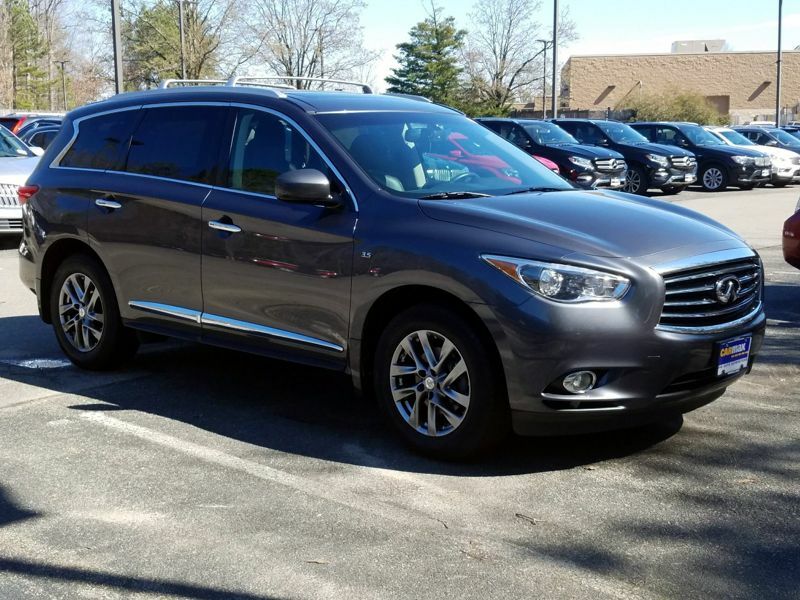 Transmission: Automatic Color:Gray Interior Color: Black Average Vehicle Review: (4.417 reviews) The FX35 is a nice vehicle for a single person. It's not too big but has enough space to put the few items in it that I need it to. It has great acceleration when needed. Handles great. Definitely a good looking vehicle. The 7 speed transmission when compared to the previous generation's 5 speed transmission will hesitate sometimes on lower gears. I actually prefer the 5 speed as it always found the right gear and never hesitated. Overall it's still an excellent vehicle. Transmission: Automatic Color:Gray Interior Color: Black Average Vehicle Review: (4.632 reviews) I love this car!! Third row is big enough for two 6ft tall, regular sized adults no problem. 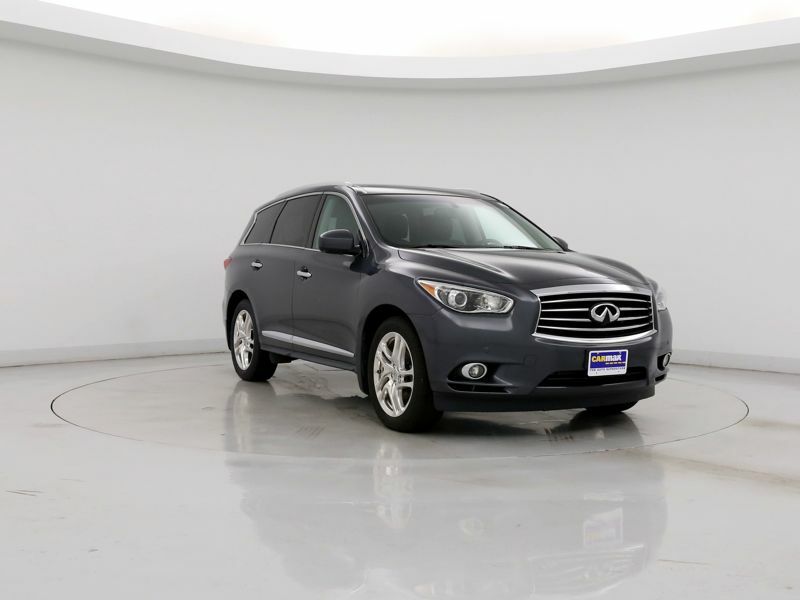 Fits the whole family, (dogs included), so easy to drive, beautiful, luxurious, Bose sound, and great acceleration. I usually drive it in "standard mode" with premium gas and get 20-23 mpg around the Denver metro area. Got around 23 mph on our highway road trip. Did a 10 hour road trip in it and it was absolutely comfortable all the way!! When you fold down both rows of seats two 6ft tall adults can lay down comfortably which is great for road trip camping! 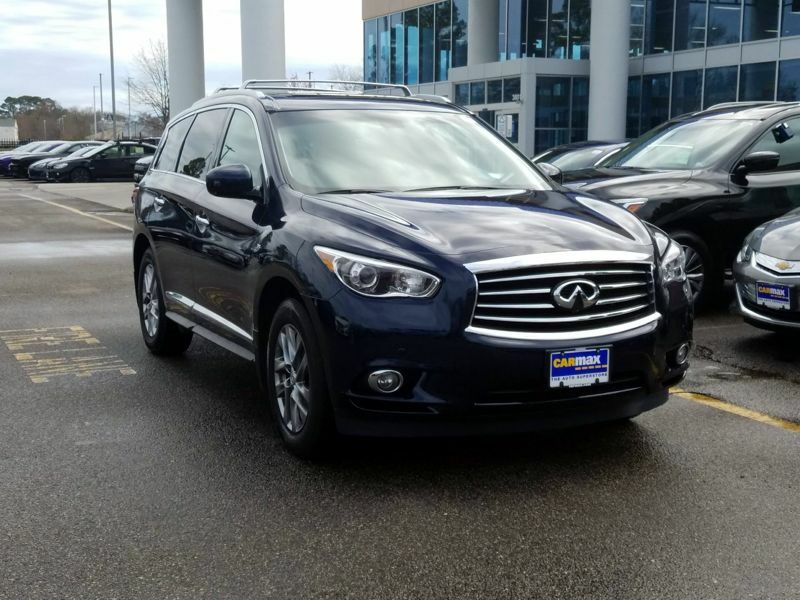 I would recommend this car to anyone looking for 3 row SUVs!!! We love it!! I would buy it over and over again!! 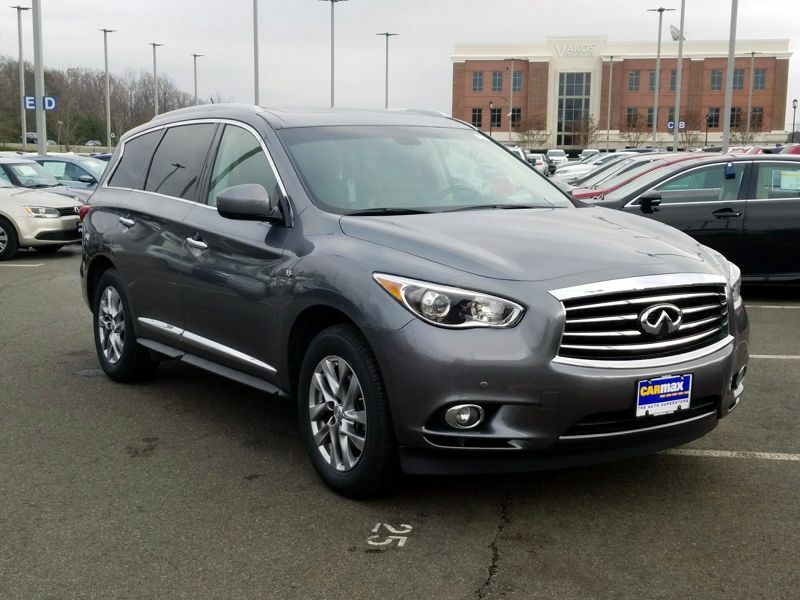 Transmission: Automatic Color:Silver Interior Color: Brown Average Vehicle Review: (4.632 reviews) I absolutely love my JX35! It's smooth riding, all the cameras make it easy to park, very comfortable. My boyfriend is 6'3 and his son is 5'10 and there was plenty of room for us all plus our 6 year old to go on trips. The 3rd row is a bonus and the 2nd row also reclines!  Transmission: Automatic Color:Red Interior Color: Tan Average Vehicle Review: (4.417 reviews) Ours is loaded with all available options (Deluxe Tech Package and Touring) minus TV package. 3rd row seat is great even for someone like me who is 6' tall and you can also adj. the back. Love the Pano roof that goes from 2nd to 3rd row. Easy to get in and out of the 3rd row seat thanks to great design. Great gas mileage for a 7 passenger car. Quiet ride and not to mention all the safety features like Back-Up Collision Intervention, Around View Monitor w/Front and Rear Sonar System, Front Collision Intervention, Blind Spot Intervention, Blind Spot Warning. Active Lane keeping assist. 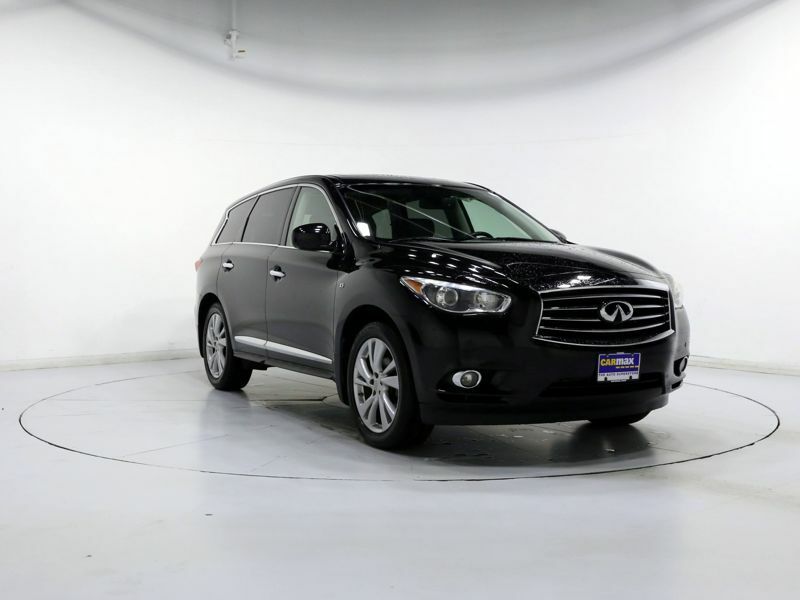 All luxury options like cooled and heated front and 2nd row seats. front and rear climate control, Rain sensing and many many more options. Transmission: Automatic Color:Gray Interior Color: Black Average Vehicle Review: (4.818 reviews) The car drives very well, comes with almost fully loaded and the overall build quality is very high. The Q70 is actually both more powerful, better handling and has a better/ bigger interior than comparable A6, XF, E350 and Acura RLX sedans in my opinion. The Lexus GS exterior made it out of contention for me. It is very good value for money. Transmission: Automatic Color:White Interior Color: Black Average Vehicle Review: (4.632 reviews) It is a great car. My first Japanese vehicle. Feels a bit light, but overall, a wonderful car. My wife likes it that being just a bit higher helps with visibility. 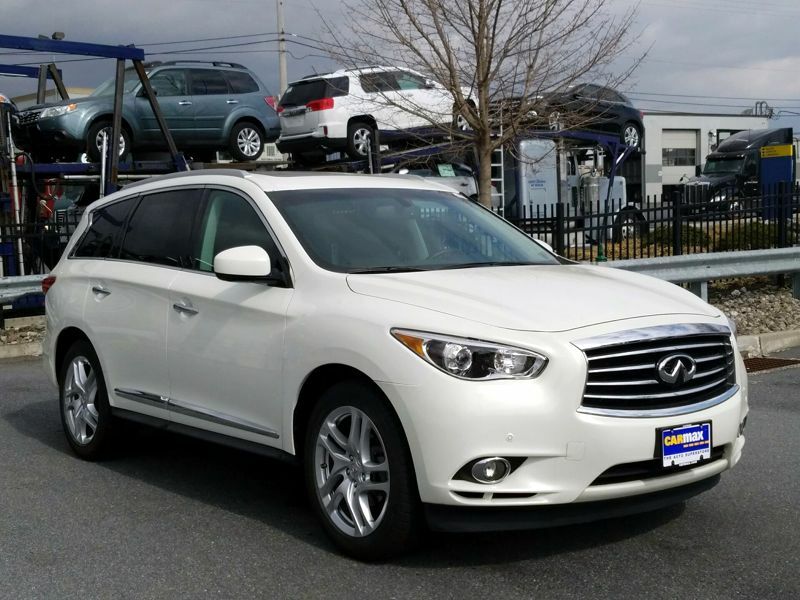 When looking at different reviews, they compare this vehicle to ones much more expensive. Transmission: Automatic Color:Gray Interior Color: Black Average Vehicle Review: (4.45 reviews) After having and accident in my Infiniti G37, I really wanted an SUV. I have not had an SUV since my Volvo XC90 in 2005. 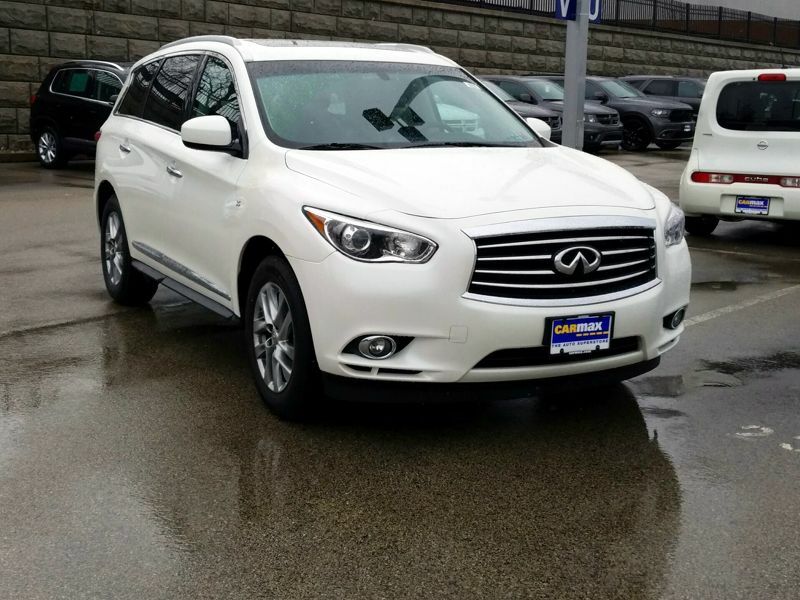 I love the Infiniti quality and began my search for an SUV. 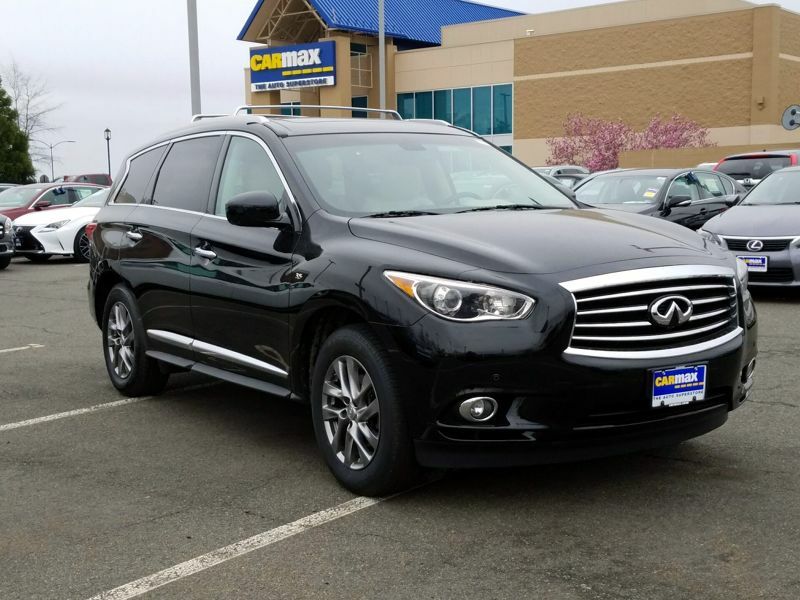 The QX60 is beyond my expectations! I LOVE IT!!!!!! I'm already looking forward to an upgrade on this current model! 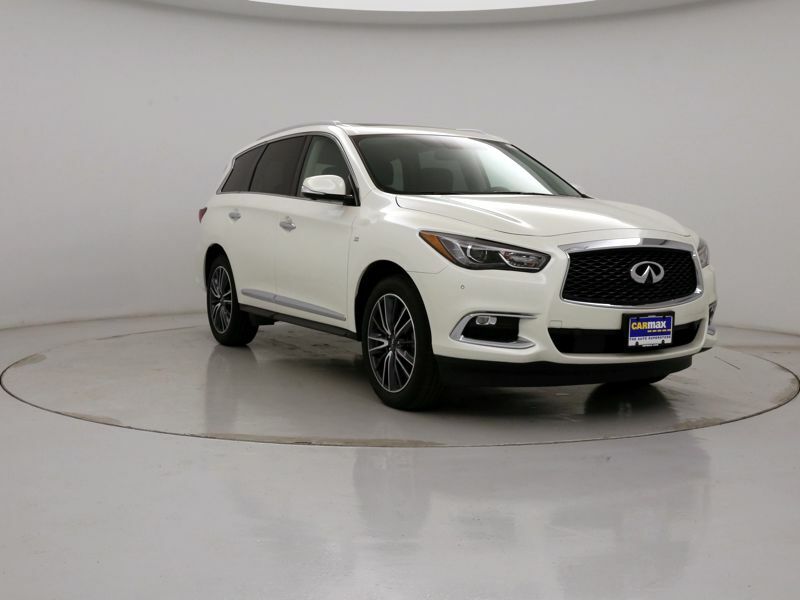 Transmission: Automatic Color:White Interior Color: Brown Average Vehicle Review: (4.632 reviews) Ours is loaded with all available options (Deluxe Tech Package and Touring) minus TV package. 3rd row seat is great even for someone like me who is 6' tall and you can also adj. the back. Love the Pano roof that goes from 2nd to 3rd row. Easy to get in and out of the 3rd row seat thanks to great design. Great gas mileage for a 7 passenger car. Quiet ride and not to mention all the safety features like Back-Up Collision Intervention, Around View Monitor w/Front and Rear Sonar System, Front Collision Intervention, Blind Spot Intervention, Blind Spot Warning. Active Lane keeping assist. 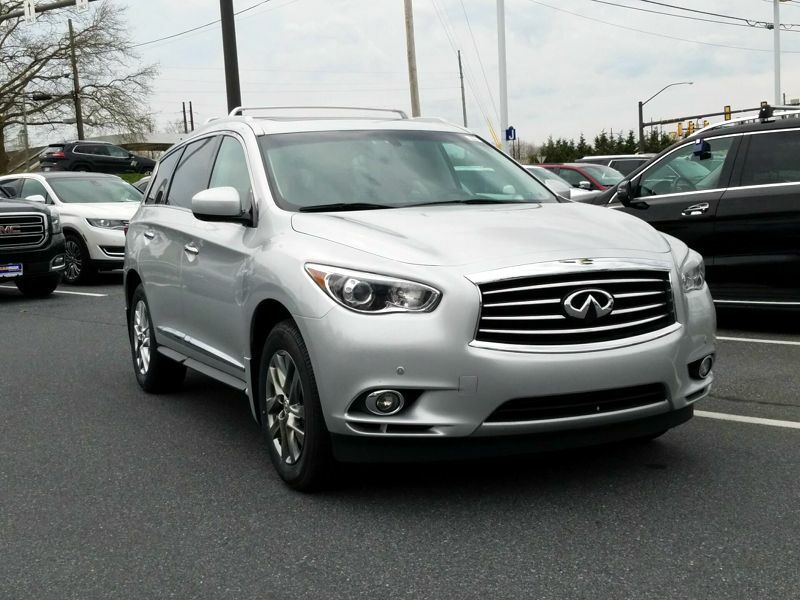 All luxury options like cooled and heated front and 2nd row seats. front and rear climate control, Rain sensing and many many more options. Transmission: Automatic Color:Blue Interior Color: Black Average Vehicle Review: (4.417 reviews) It's the one of the best SUV you can find.... It's way bigger inside than it looks outside ! 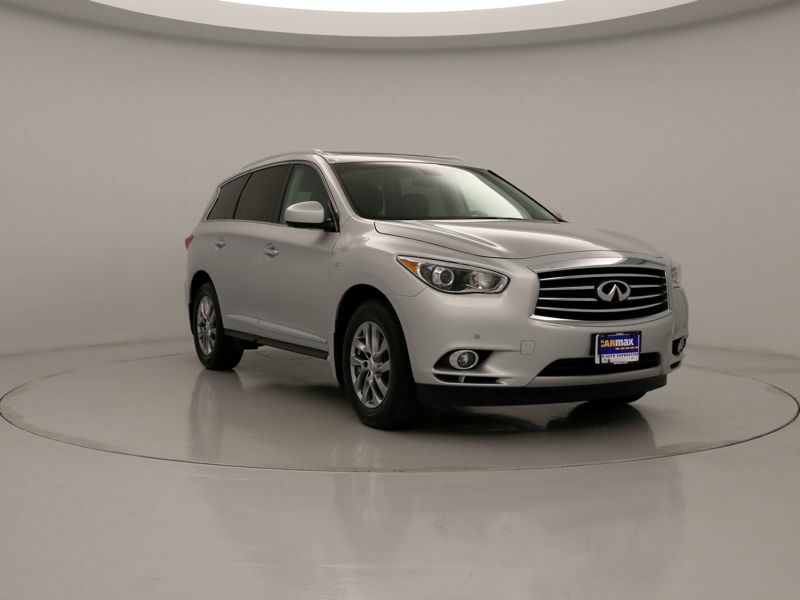 The JX is a complete luxury SUV with many options to enjoy... I put over 25,000 miles since I bought in 4 months... Runs like new !! 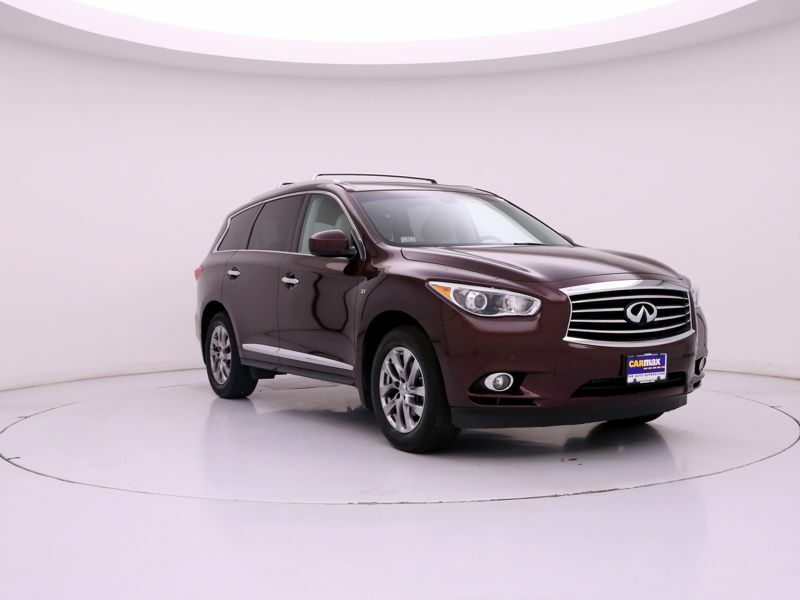 If you need a great SUV with a reasonable price that's the one... You won't regret !! 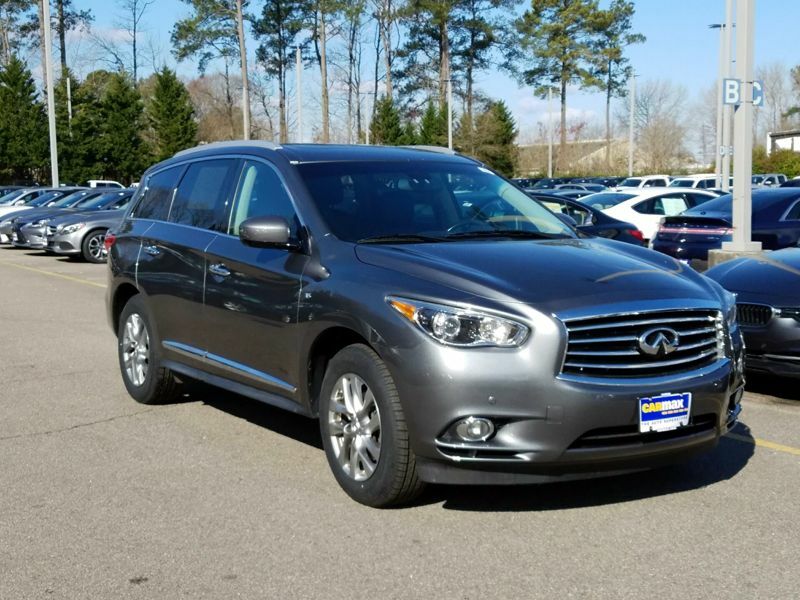 I am an Infiniti person I've only owned Infinti for the past twenty years very dependable car and good on gas, I love the crossover style not too big perfect size vehicle. I'm in love with. My Infinity. I would definitely recommend all my friends and family to purchase one. You will never want to drive anything else!!!!! !